I absolutely love dinner parties. When you invite someone to dinner, you invite them into your home and into your heart. Retrieving a recipe, obtaining the ingredients, monitoring the stove, laying the table and of course cooking the meal requires a degree of care and intimacy that no restaurant meal could ever match. So, as I rang the buzzer outside SFP 2, I smiled in anticipation of the happy French meal that lay ahead. 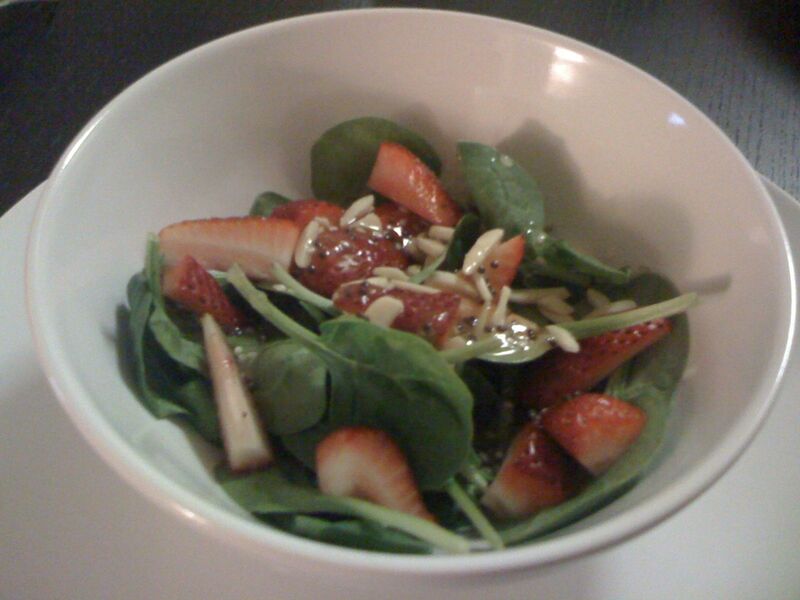 We started with prawn cocktail and pastry puffs, followed by a lovely salad of sliced strawberries, fresh arugula, slivered almonds and a sweet tangy vinaigrette. 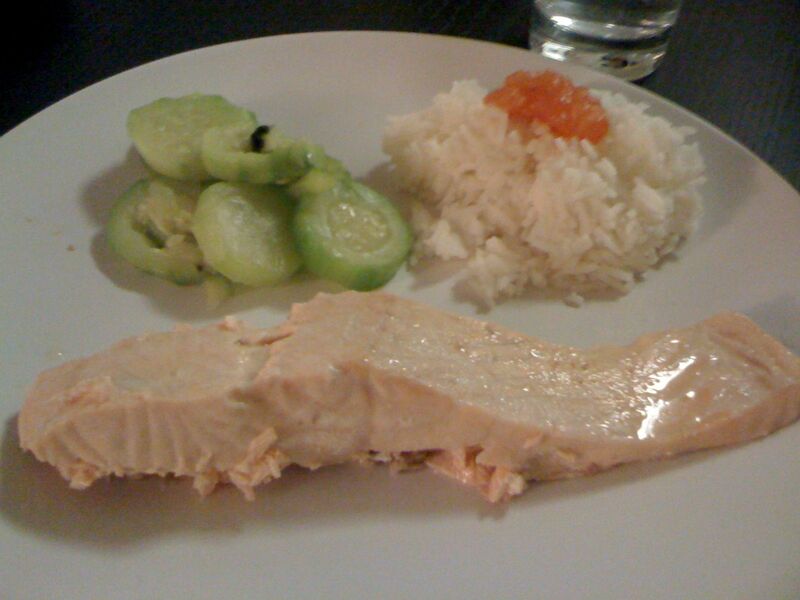 The main course was baked salmon accompanied by roasted zucchini and steamed rice. And dessert! 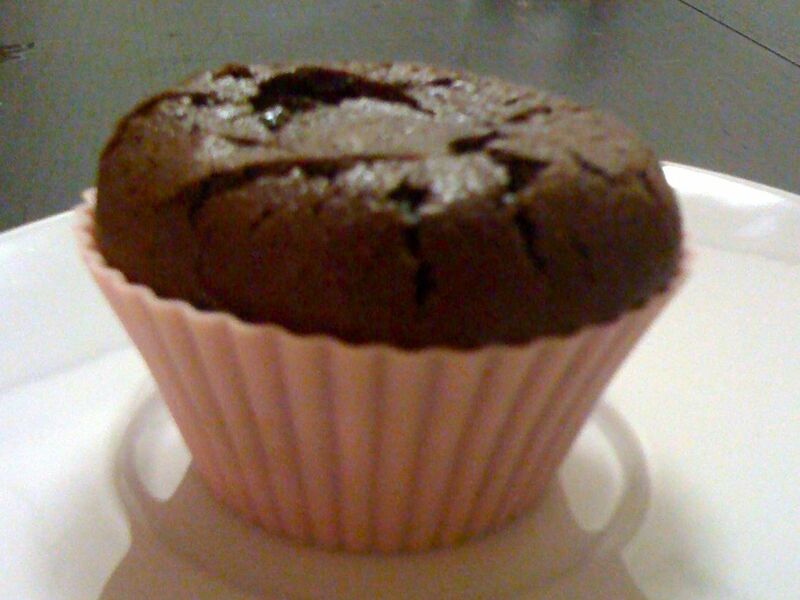 Shabs made individual dark chocolate souffles. They only took 12 minutes to bake and were deliciously light yet decadent. I haven’t done any baking in a while, but these mouthwatering souffles (and cute silicone baking cups) have inspired me to give it a go. Get the recipe here! Presentation is superb, never seen anything like this before..absolutely gorgeous! Previous Previous post: New York v Boston or Boston v Cambridge?